Laser whitening – Dental Clinic "FREEDENTS"
In today's world of dentistry cannot be ignored the question of purely aesthetic needs of patients, so the laser teeth whitening procedure is subject to intense scrutiny by his staff, who have achieved this assignment. 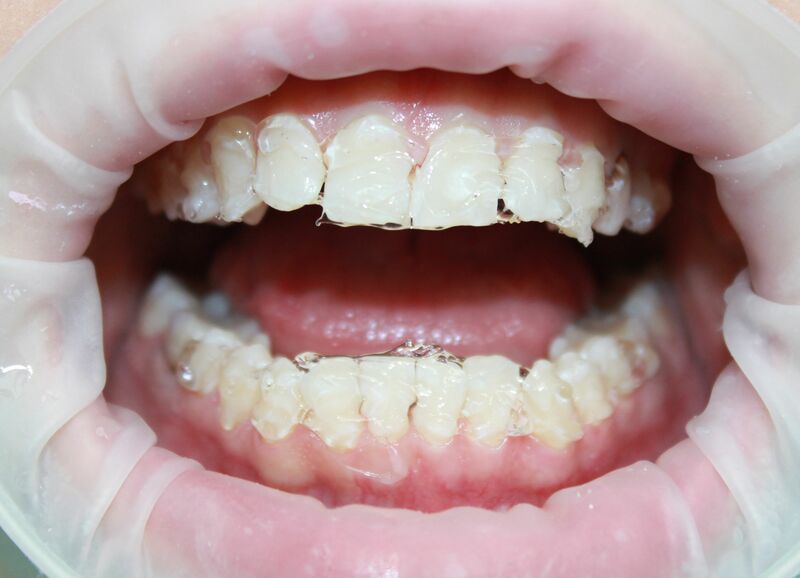 Darkening of the teeth is very common problem which eventually overtakes almost everyone. In the list of the most common causes darkening of tooth enamel is composed of all manifestations of unhealthy lifestyles, we all sin from time to time)) Such as: * habits smoking, drinking red wine, abuse of colored sweets ( especially chocolate), * the use of coffee, tea, as well as products that contain food dyes in combination with a lack of proper care for your teeth, tooth decay, genetic predisposition, * age-related changes entail fading color dental tissues that adversely affects mood and self-esteem. Of course, it would be a good idea to thoroughly several times a day by brushing your teeth quality toothpaste and clam to your dentist regularly as prevention darkening of tooth enamel, but if launched, without the assistance of a specialist, you can not do. And please forget about barbaric methods of home bleaching, which still occur in networks with soda, salt and pharmaceutical hydrogen peroxide, you open a direct road to prosthetics. As regards the progressive methods of dealing with such problems, they are divided into "clinical" and "home". 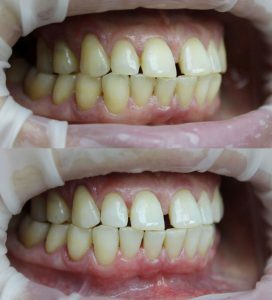 At home bleaching-the patient remove casts his teeth, get models of the jaws and produce customised tray with whitening gel reservoir, which will give you a doctor. You should wear them for one to two weeks for several hours at a convenient time, whether it is night or day. But the result is not as noticeable as on clinical bleaching and there is a likelihood of gel onto the mucous membranes of the oral cavity and even his accidental ingestion with saliva. Also appears giperjestezija teeth-i.e. increased sensitivity after the procedure, which is not after laser teeth whitening. 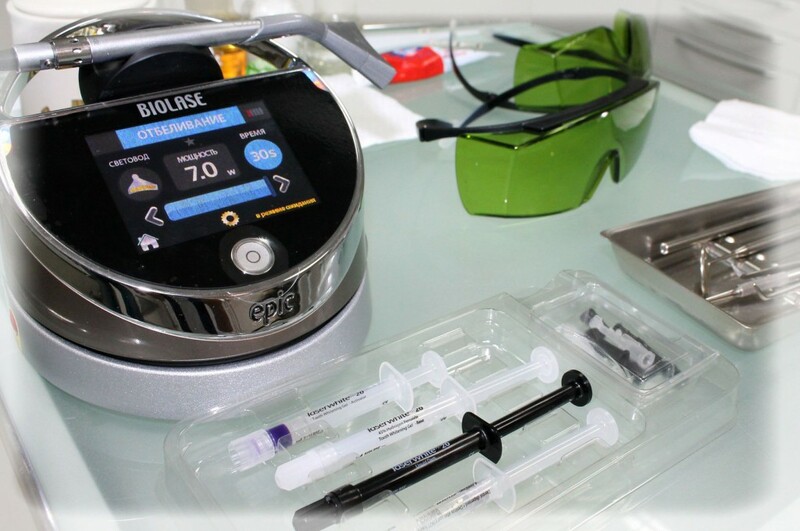 When clinical whole procedure bleaching occurs directly in the dental chair, under the supervision of a physician and the influence of diode laser, which activates the bleaching gel. This type of procedure considerably saves your time, the desired result is achieved in just 30 minutes. Clinical whitening is more controllable and more secure method. There are no any pain during or after the procedure! Before the teeth whitening procedure is necessary to conduct a professional hygiene of oral cavity, to completely remove tartar and plaque, that can interfere with good result. 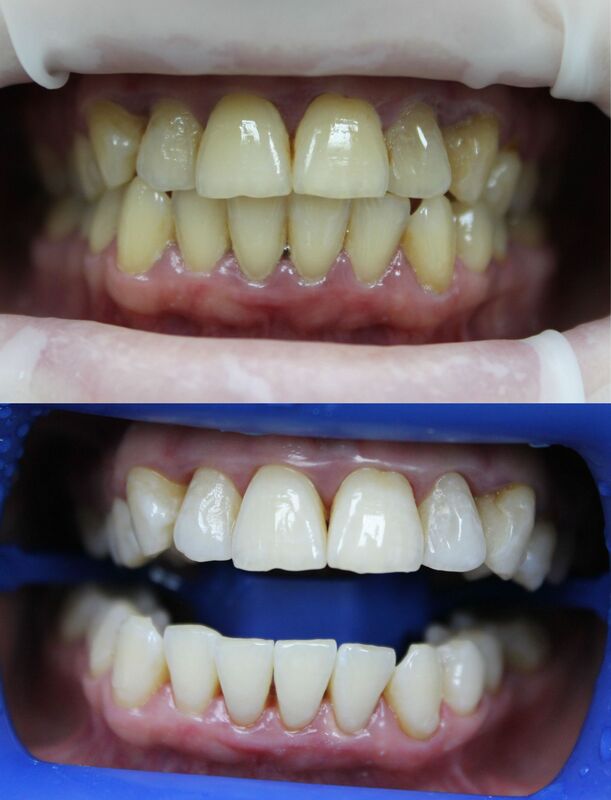 It all begins with protecting the mucous membranes of the lips, cheeks and gums of the patient from the effects of whitening gel with a mild retraktora, soft plaque from tooth surfaces a special paste and a brush, then protect the patient's gums insulating svetootverzhdaemoj resin, also isolated cheeks and tongue. 2. Then proceed directly to the whitening procedure. 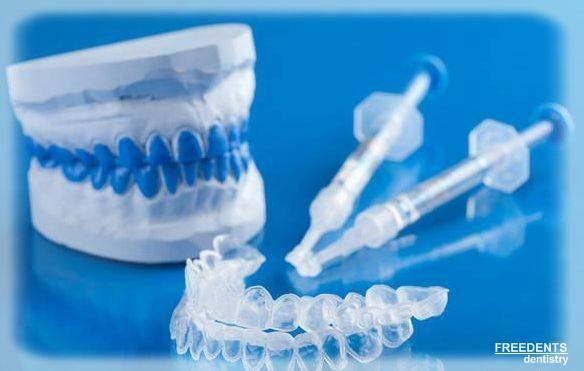 On the surface of the teeth whitening gel color is applied, which is activated by using diode laser 2 times in 2 minutes. 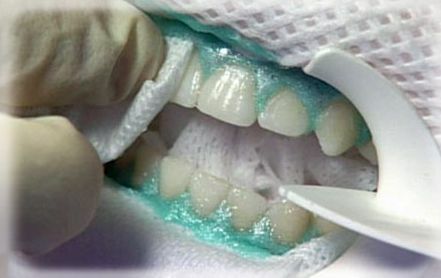 Then the gel is completely removed from the surface of teeth and wash thoroughly with water. 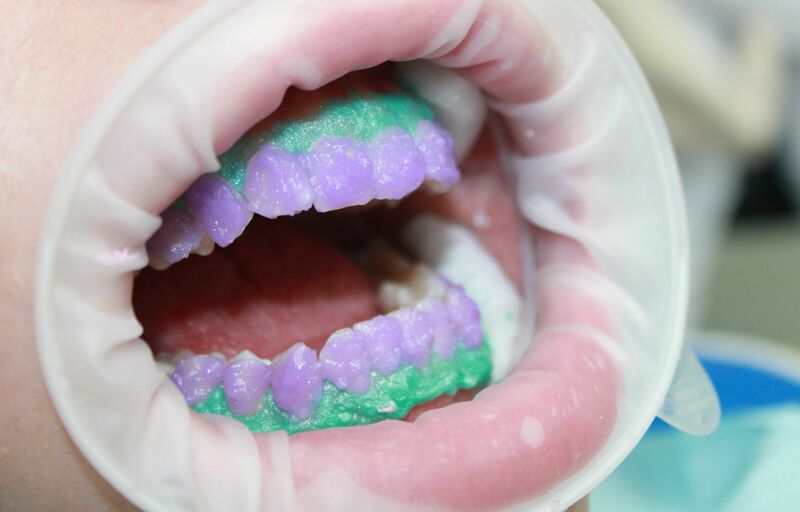 3. the procedure Ends 5-minute applique on the enamel of gel containing fluorine, which will strengthen the enamel. 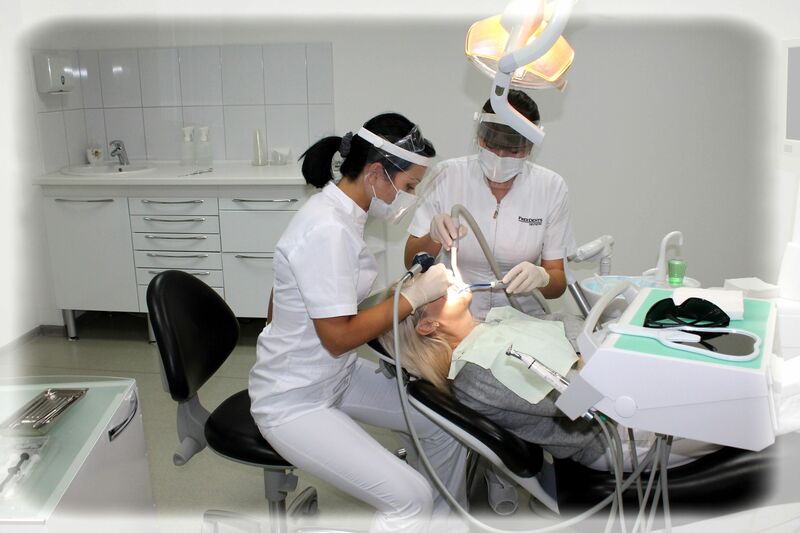 The procedure takes just 30-40 minutes including insulation and fluoridation. 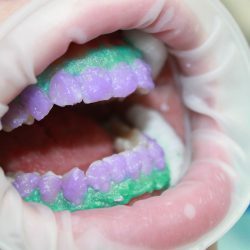 After the procedure, your teeth posvetlejut on average eight shades in the Vita scale, and during the first two days of bleaching effect still skyrocket. 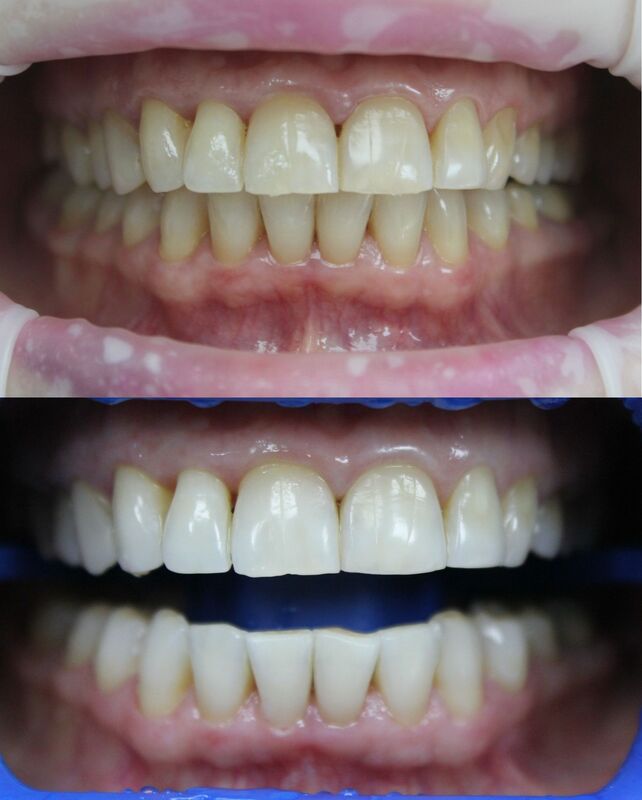 But be aware that during these two days after bleaching and whitening day teeth are very sensitive to staining! Therefore it is necessary to strictly observe "white diet", i.e. do not use these days food and drinks that contain with bright pigments, capable of quickly paint the surface of the teeth (coffee, tea, berries, Coca Cola, juice, red wine, chocolate, beets, etc), we also recommend that you do not smoke! 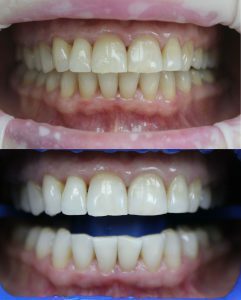 Before and after the procedure of laser w h itening whitening Result: fully depends on the individual patient and the reaction of his teeth on the bleaching gel in every patient the result would be totally different. You have to understand that it is not bleached fillings, crowns and restoration. If you feel that your teeth have become not as white as you would like, then repeat the bleaching can be no sooner than 10-12 months to avoid weakening tooth enamel. 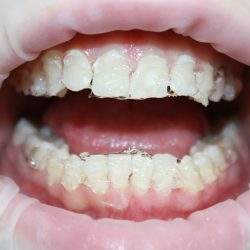 -Pregnant and breastfeeding women, because their teeth are weakened by minors, so as to be in the process of formation of enamel-the presence of extensive defects of teeth (affected destroyed, carious), numerous cracks in the enamel, increased sensitivity of the teeth-teeth Erosion-the presence of Crowns on your teeth-gum inflammation, the presence of dental stones-people suffering from allergies to LaTeX and peroxide compounds. -Patients suffering from melanoma and increased photosensitivity.